When you should see a doctor. If you have any of those symptoms, combined with a known head injury, you could have a concussion. Hopefully, the content below will answer a few of the many questions you have. Note: Have your concussion symptoms lingered for weeks, months, or even years? On average, our patients improve by 75% after treatment at our center specializing in post-concussion therapy. To see if you are eligible for treatment, sign up for a free consultation. A concussion is a mild traumatic brain injury (mTBI). A concussion may occur whenever the head is hit or the brain experiences a shake or jolt. You don’t have to receive a blow to the head to get a concussion; if your car stops suddenly, for example, there’s a chance your brain could be jarred enough to hit your skull. That jostling is enough to cause concussion symptoms. 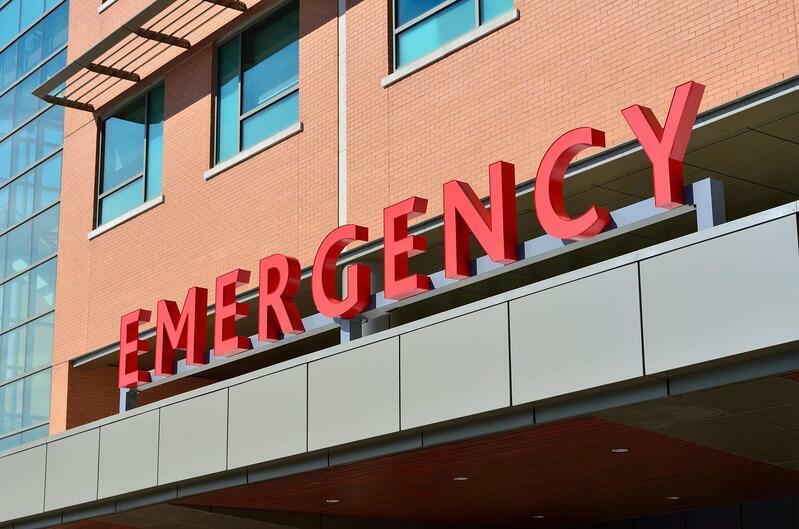 In severe traumatic brain injuries, you might incur physical damage to the skull and brain. But a concussion, by definition, means you have not suffered severe physical damage. If you have a concussion, you suffer from the effects of a mild TBI: damage to brain cells (popularly called “bruising”) and inflammation. Inflammation is the body’s natural response to an injury. Blood and other fluids rush to the site of the injury so that the body can effect repairs. Brain swelling can result from this process. Normally, your brain calls for increased blood flow to deliver oxygen when and where it’s needed. For example, if you’re reading a book, then the parts of your brain governing sight and reading comprehension would call for increased blood flow. That gives your brain the energy it needs to help you perform those tasks. Any cognitive activity requires coordination between cells from various regions of the brain. If inflammation and cell damage prevent blood resupply signalling, the normal neural pathways can’t function properly. Other areas of the brain have to work harder to help you complete the same task. In other words, communication between neurons along the original pathways is disrupted because they don’t get enough oxygen (among other things). 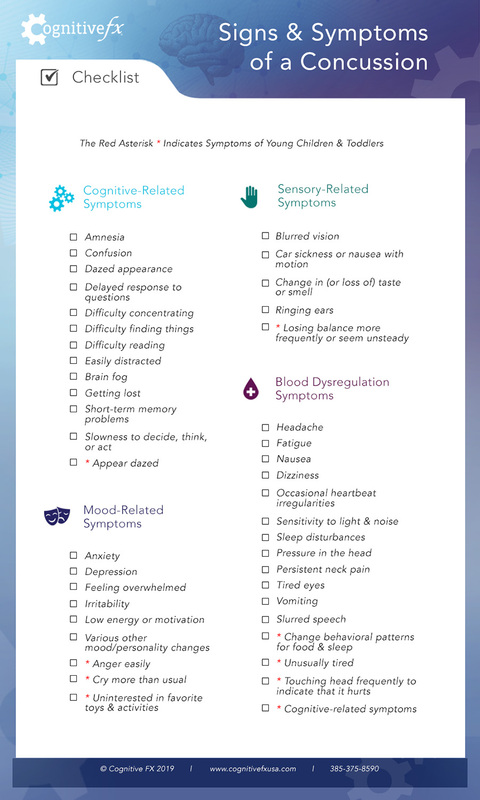 As a result, you may experience any number of the symptoms listed in the checklist (or in the sections below). In an ideal recovery, the brain will resume using the most efficient pathways to deliver oxygen and information. But that doesn’t always happen. Sometimes, the brain doesn’t return to using the most efficient pathways. Instead, it may continue using the less efficient pathways formed during rest and recovery. That change may or may not result in symptoms. Usually (but not always), one concussion isn’t enough for lasting symptoms. In most cases, the number of pathways affected are not enough for you to notice a difference in your day-to-day life. It’s more common for people who experience a second concussion — or even multiple concussions — to have long-term symptoms that do not resolve without therapy. That’s because the more concussions you have, the more opportunities your brain has to solidify suboptimal (less good) ways of sending information and getting oxygen. Those changes can be responsible for everything from headaches to mood changes to forgetfulness. Think about suboptimal signalling pathways in your brain like the different routes you can take to commute home from work. Some roads have more traffic than others. If you have to route around an accident, you’ll take longer to get home. And if you get stuck in traffic, who knows how long it will take. In those situations, you end up tired and frustrated because what should be an easy trip home, isn’t. During healthy brain function, communication “traffic” would be equally distributed along existing roads. Suboptimal pathways are like getting stuck in a traffic jam or having to take the long way around. Those cells are unable to call for enough oxygen to do their jobs, so other cells have to do it. The more that happens, the more tired your brain becomes and the more opportunity there is for your symptoms to emerge. This situation can occur from just one concussion or from many; severity depends on the individual patient. Once those suboptimal pathways are set in place, it can be difficult to retrain them without expert assistance. But with a combination of physical therapy, cognitive therapy, diet, and calming activities like meditation, most people do reset most of those pathways. When Do Symptoms of a Concussion Appear? When it comes to symptoms, everyone is different. Most people have symptoms immediately. Those symptoms might go away and come back, or new symptoms could appear a few days later. Below are the answers to a few commonly asked questions about when concussion symptoms appear and disappear. How Long Should Symptoms of a Concussion Last? How long symptoms stick around depends on the severity of the concussion. It can also vary from person to person. Interestingly, mental confusion at the time of the injury is the best predictor of long-lasting symptoms (meaning, if you experience confusion when injured, you’re more likely to have symptoms that don’t go away quickly). In general, symptoms of a concussion should resolve in two weeks. Some people have symptoms for longer — up to three months. If symptoms don’t resolve after three months, they probably won’t go away without therapy. Recovery time isn’t correlated with injury source. Someone who has a concussion from a car accident, for example, is likely to need the same recovery time as someone with a sports concussion. The above guidelines hold true for roughly 80% of the population (although this number fluctuates in any given study). The remaining 20% take longer to recover than most people — or might not see their symptoms go away at all. In general, if your symptoms haven’t gone away after two weeks, it’s time to look for treatment alternatives. (If that sounds like you, we offer a free consultation to patients who would like to determine their eligibility for post-concussion treatment). Can Symptoms of a Concussion Come and Go? Yes, symptoms of a concussion can come and go. Some patients feel great after their initial recovery. Then a few days or weeks later, those symptoms return with ferocity. Why? It may be that your brain is still using suboptimal pathways to relay information and oxygen. When your symptoms are gone, that means your brain is still doing a pretty good job of compensating. But when symptoms return, it’s often because some other stressor — an illness, emotional trauma, extra stress at work — is too difficult for the brain to handle. Can Symptoms of a Concussion Be Delayed? Yes, symptoms of a concussion can be delayed (although it’s fairly rare). Some patients don’t feel any negative effects from their concussion. Or, they might have a few symptoms that resolve (like headaches), followed by new symptoms (like overwhelm or anger). Remember those suboptimal pathways? The changes might not be severe enough for you to notice… at first. But sometimes it’s the start of a downward spiral. In these cases, when a certain section of the brain doesn’t receive enough oxygen, its ability to signal for more oxygen is negatively impacted. Over time, the reduced oxygen and signalling make each other worse. Eventually, that negative loop makes the deficiency present symptoms. For example, you might have had no problems with vision immediately after your concussion. But a few months later, you might discover that your peripheral vision is disappearing. That negative cycle of oxygen insufficiency and reduced signalling is why. We’ve categorized adult concussions symptoms by when they typically appear. Symptoms in the “Immediate or Early” column are often observed earlier than not. The symptoms in the second column, “Early or Delayed,” may appear early, but are often noticed later in recovery. The above are symptoms that, in and of themselves, do not necessarily constitute an emergency. If you’re having balance problems, make sure you’re in a safe environment and that you have a loved one with you, if possible, to keep you safe until they resolve. Memory loss is uncommon outside of brief amnesia associated with the event that caused the concussion. If you experience more than mild short-term memory loss, consult with a medical professional. Symptoms that are more dangerous (but which still do not necessarily constitute an emergency) are weakness or decreased coordination, repeated vomiting or nausea, and slurred speech. Sometimes, concussions cause startling, more severe symptoms. If you experience any of the following symptoms, get medical attention immediately. These symptoms are serious and should be treated by a medical professional immediately. The list of concussion symptoms for teenagers is the same as the symptoms in adults listed above. However, parents often ask us how to tell the difference between teen angst and concussion symptoms. Here’s our rule of thumb: If the behavior or complaints you observe in your teen are at all unusual for them, assume it’s the concussion. While some symptoms like irritability, depression, or anxiety may come from other sources, it’s entirely possible that they’re stemming from a previous concussion. Trust your instincts and when in doubt, pursue treatment options for a concussion. It may be that they won’t feel better until they receive adequate medical care. Many everyday activities put young children at risk for concussions. Try as you might, it’s not possible to prevent every situation that could result in head trauma. But it’s harder to know if they have a concussion, since toddlers can’t always tell you exactly what’s wrong. They’re still learning how to understand and express what they feel. That makes it harder to tell if your child has a concussion. Touch their head a lot to indicate it hurts. Ultimately, if there’s any question as to whether your child is suffering from a concussion, it’s always better to have your child’s doctor check them over than to assume nothing is wrong. 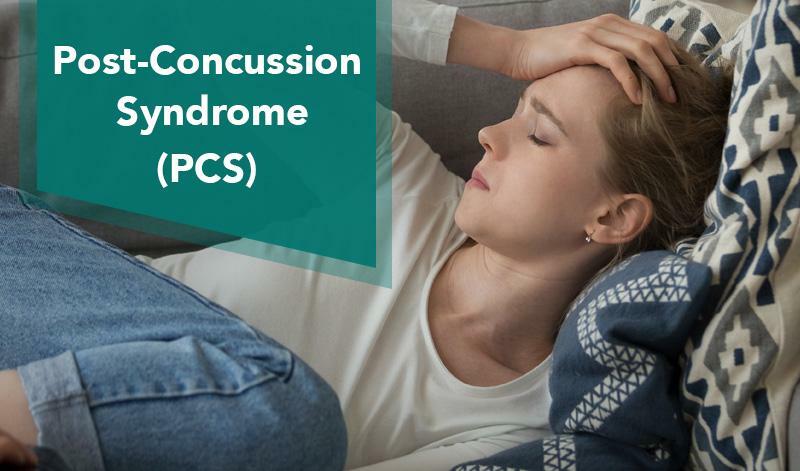 Many people who experience symptoms after their concussion should have healed have something called post-concussion syndrome. Unfortunately, rest is not adequate health care to fix brain damage incurred via this syndrome. Instead, intensive physical and cognitive therapy is needed to help the injured brain rebuild its pathways. While any of the symptoms listed as “Early or Delayed” apply, here are a few of the most common symptoms experienced by our patients. Common triggers for post-concussion headaches include physical exercise, trying to think, exposure to light, and attempting to work. Post-concussion patients are hit with a “double-whammy.” Not only can concussion symptoms cause mood changes like depression or irritability, but these conditions are often worsened by the belief that they won’t get adequate help. Many are also accused of faking their symptoms. Emotional symptoms as a result of concussion are real and they can be treated. Note: Many of our patients were told that their condition is untreatable. That’s not true. Post-concussion syndrome is not a condition that many doctors treat, but it is often treatable. There is hope. To learn if you’re eligible for treatment, schedule a free consultation with our staff. The feeling of being overwhelmed is often triggered by light and noise. Patients may struggle with common activities like going to the grocery store or to a party because their brains can no longer filter out all the background noise in today’s society. They may also feel overwhelmed during or after work. Visiting an optometrist won’t fix vision issues caused by a concussion. Some patients find that their vision blurs after trying to read or use the computer. Others can’t read fine print. And some find that their peripheral vision disappears (or they have the opposite problem — peripheral vision that picks up too much). Patients often experience things like brain fog, trouble shutting off their brains for the night, difficulty focusing or following conversations, and short-term memory issues. Even difficulty remembering where you put your keys could stem from post-concussion syndrome. If you experience trauma to the brain, watch out for the emergency symptoms listed above. If any of those symptoms emerge, you need to visit a hospital immediately. But if your symptoms are normal for a concussion and you’re not showing danger signs, should you see a healthcare professional? That depends. If you’re of the “better safe than sorry” temperament, it’s not a bad idea to schedule an appointment and follow-ups if recommended. If you do decide to see a physician, avoid your general practitioner’s office — unless you need them to refer you for an MRI (this is only helpful if structural damage is suspected). Otherwise, opt for a sports medicine practitioner. Since sports injuries frequently include concussions, sports doctors are more likely to stay current on recent developments in treating concussions and can give you better advice than just recommending bed rest. If you prefer to wait, give yourself two weeks for symptoms to resolve. If you play contact sports, don’t resume practice until you’re fully healed. If the signs of a concussion are still present after two weeks, it’s time to get a professional involved. Post-concussion syndrome, in most cases, will not fully resolve on its own. Targeted physical and cognitive therapy can make a huge difference in outcomes: Even post-concussion syndrome doesn’t have to be permanent brain damage. Note: Have your concussion symptoms lingered for weeks, months, or even years? Our patients’ symptoms improve by 75% on average after treatment at our center specializing in post-concussion therapy. To see if you are eligible for treatment, schedule a free consultation with our staff. Mark D. Allen earned a PhD in Cognitive Science at Johns Hopkins University with post-doctoral training in Cognitive Neuroscience and Functional Neuroimaging at the University of Washington. 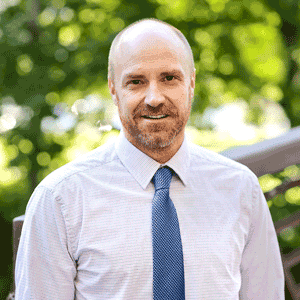 He has 15 years of research and clinical experience in fMRI, with 22 publications in tier-1 peer-reviewed scientific journals, 3 book chapters, and dozens of presentations at scientific and professional conferences in neuroscience, neuroimaging, and neuropsychology. Having collected and analyzed fMRI data from over 1,000 experimental subjects and over 300 clinically-referred patients, Dr. Allen is a pioneer and expert in the development of fMRI for use in clinical settings.